Environmental Site Design (ESD) offers the possibility of gaining the benefits of growth with little or no aquatic resource impact. However, since ESD was adopted in Maryland in 2007 there appears to have been minimal oversight to ensure full compliance. Therefore, Baltimore County citizens took it upon themselves to “kick the tires” by reviewing recently approved development plans. What they found was appalling. Only a fourth of proposed development plans showed full use of ESD to prevent stormwater pollution, stream channel erosion and other impacts. Other citizen audits have shown Maryland counties are achieving up to a 95% compliance rate. This prompted a coalition of 15 local, statewide, regional and national groups to sign-on to a letter to Baltimore County Executive Kevin Kamenetz pledging their support to help improve ESD compliance. For example, half of the County’s eight-person stormwater review staff recently retired. The coalition pledged their support to help the County Executive fill these positions at the earliest possible date. Once the new reviewers are brought on board we will urge the County to bring in an expert to train the staff in how to ensure development plans make full use of ESD. Though new residential, commercial and other forms of growth bring tremendous benefits, this sector is also the only source of pollution which is increasing in Baltimore County and throughout the Chesapeake Bay watershed. Full compliance with ESD offers the possibility of preventing further increases and could even reduce pollution loads on a number of sites. About 40% of Baltimore County is developed to a degree that the waters within this area are likely degraded. There’s no home in Baltimore County which is more than a 15-minute walk from the nearest waterway. But for 90% of our neighbors, the nearest waters are degraded by past development. 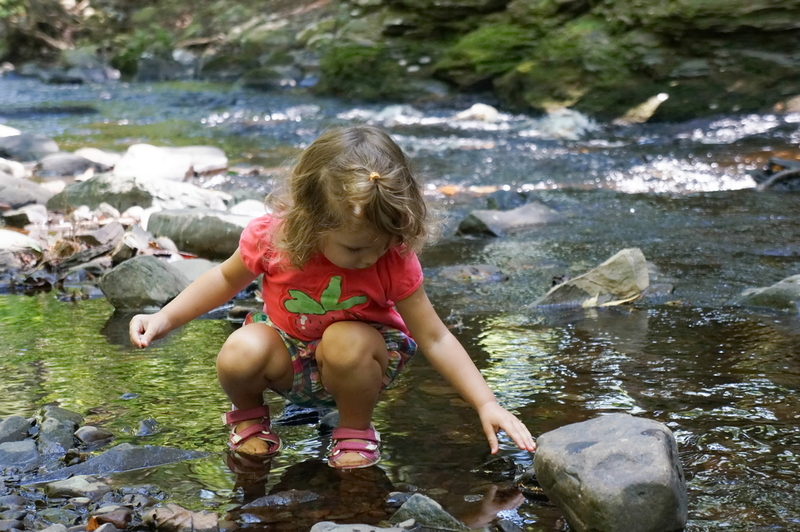 These waters could offer tremendous recreational opportunities but are instead attractive nuisances to children who find them appealing yet are unaware of the risk to their health and safety. The recently adopted Stormwater Remediation Fee will make it possible to restore many of these waters to a condition suited for our use. However, failure to make full use of ESD will result in new development degrading waters and making restoration all that more difficult. To read the letter go to the CEDS Environmental Site Design for Clean Water Advocates webpage then click on “15 Groups…” in the upper left-hand column. If you would like an update on how the Baltimore County effort unfolds, then send an e-mail to Rklein@ceds.org or simply follow this news service on Facebook. If you would like to discuss how a similar ESD audit can be performed in your area, then contact Richard Klein at 410-654-3021 or Rklein@ceds.org. Audits are best done by volunteers and CEDS would be delighted to provide free training.